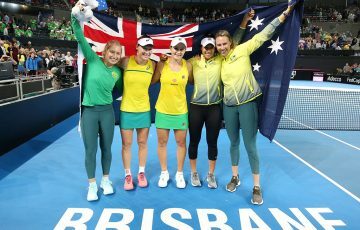 The Junior Davis and Fed Cup by BNP Paribas world finals draws were conducted on Monday with Australia’s boys and girls teams drawn in equally matched pools. 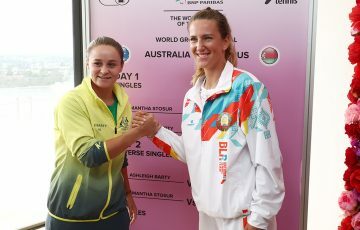 The draws for the Junior Davis and Fed Cup by BNP Paribas world finals were decided on Monday with Australia’s boys and girls teams drawn in equally-matched pools. Thanasi Kokkinakis (Seacombe Heights, SA), Harry Bourchier (Kingston, Tas) and Blake Mott (Thirroul, NSW) are seeded third in the boys’ event and have drawn Morocco, Spain and six seeds Argentina in Pool B. Having won the Asia/Oceania qualifying tie earlier this year in Bendigo, the team will be looking to win the Junior Davis Cup for the first time since 2009 when Luke Saville, Jason Kubler and Joey Swaysland won the title for Australia. The biggest threat for the Aussies looks to be Italy, which sits in Pool D. The Italians finished as runners-up in 2011 and return to the finals as second seeds having won the European qualifying tie and feature the highest-ranked player in the competition, Gianluigi Quinzi. Last year’s champions, Great Britain, will not visit Spain this week having failed to qualify for the finals. USA will be the top seeds and France will round out the top four. 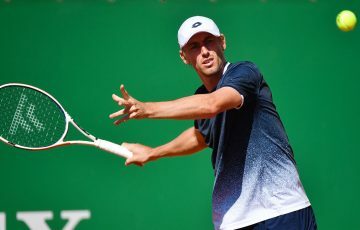 Ahead of the tie, the Aussie boys travelled to Germany to train alongside Australia’s Davis Cup team’s World Group Play-off tie against Germany in Hamburg. 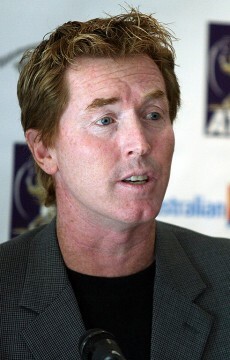 “The boys thoroughly enjoyed their Davis Cup time. 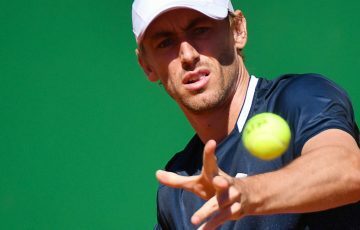 The opportunity arose for all of the boys to sit with the team and witness the vocal support up close,” said Junior Davis Cup captain Mark Woodforde. Blake Mott, who was introduced to the game at the age of six by his father, comes into the team having competed for Australia last year at the Junior Davis Cup qualifying tie in India. Mott said the experience in Hamburg was invaluable and is hoping to bring the team vibe to Barcelona. “Being part of the Davis Cup environment definitely taught me how important the team atmosphere is. 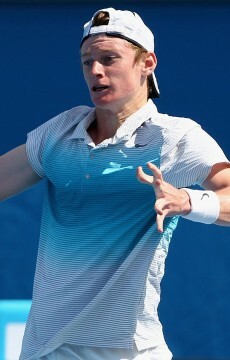 I’m really keen to ensure we have that same great team feel in our Junior Davis Cup team and I can see how critical it is to success,” said Mott. “It’s a very tough competition as all the best kids in the world are playing. I feel like if we all play to our potential we can do really well. 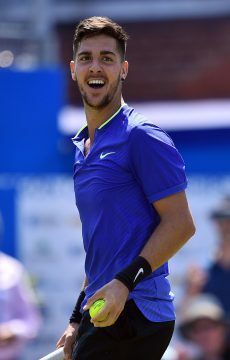 Kokkinakis has had a strong 12 months, making a semifinal and two doubles finals on the Futures circuit in Europe this year. 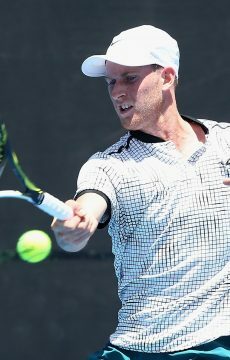 It’s been a series of firsts for Bourchier, who recently won his first ATP points at an Australian Pro Tour event in Alice Springs in September. This event will be his first time wearing the green and gold for Australia. 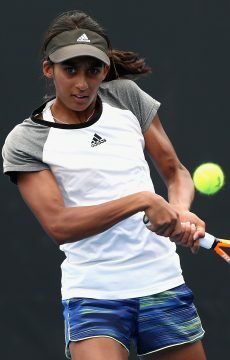 Australia’s Junior Fed Cup team of Naiktha Bains (Brisbane, Qld), Isabelle Wallace (East Bentleigh, Vic) and Zoe Hives (Ballarat, Vic) are seeded sixth in the girls’ event and face strong competition from Mexico, Paraguay and fourth seeds Latvia in their pool. 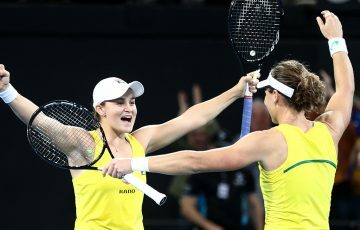 The team have the hard task of defending the girls’ title after Ashleigh Barty, Brooke Rischbieth and Belinda Woolcock won the event last year. 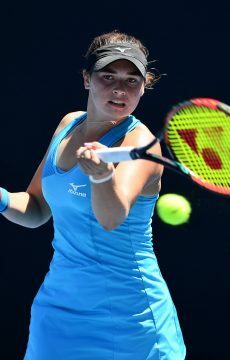 Top seeds USA look like the team to beat with world number one junior Taylor Townsend, the current Australian Open junior champion, making the trip to Spain. Russia, who returns to the event having failed to qualify in 2011 but champions in 2009 and 2010, are the second seeds whilst China, who beat Australia in the final of the Asia Oceania tie, are seeded eighth. 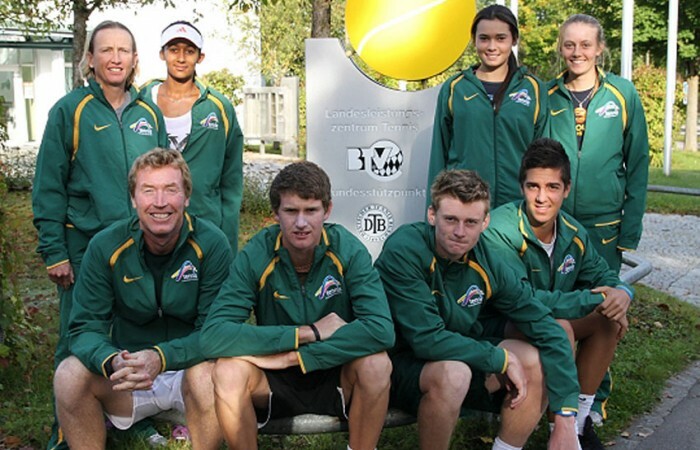 Prior to Barcelona the Junior Fed Cup team joined the Junior Davis Cup team at Tennis Australia’s European base in Munich for a week of practice on clay. “The main goal for the week leading into Barcelona was for all three girls to get as much volume as possible so they feel comfortable and confident playing on such a demanding surface like clay,” said Junior Fed Cup captain Nicole Pratt. 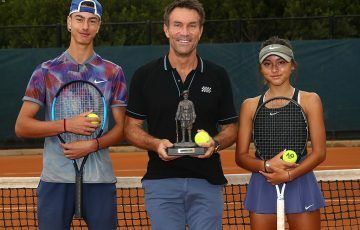 Leading into the finals, Wallace and Hives have had their share of success both winning ITF junior titles and are now starting to pursue the ITF Pro Circuit. While Bains most recently received her WTA ranking after winning a main draw match on the Australian Pro Tour. “It’s a great achievement for Naiktha who has worked very hard this year,” said Pratt, who is also her full-time coach as part of the AIS Pro Tour Program. The 16/u world team competition is taking place at the Real Club de Polo in Barcelona, Spain for the first time since 2006. Sixteen boys’ and 16 girls’ teams, from a total of 21 countries, fought their way through regional qualifying competitions for the chance to compete in the finals. This year saw 183 teams from a total of 97 countries competing for a chance to play in the finals. The event begins as a round-robin competition, with teams divided into four groups of four teams. The winner of each group qualifies for the knock-out semi-finals, while the remaining nations go into play-offs and fight for positions.